Last weekend the first-ever Diplohack of Greece was held in Athens. 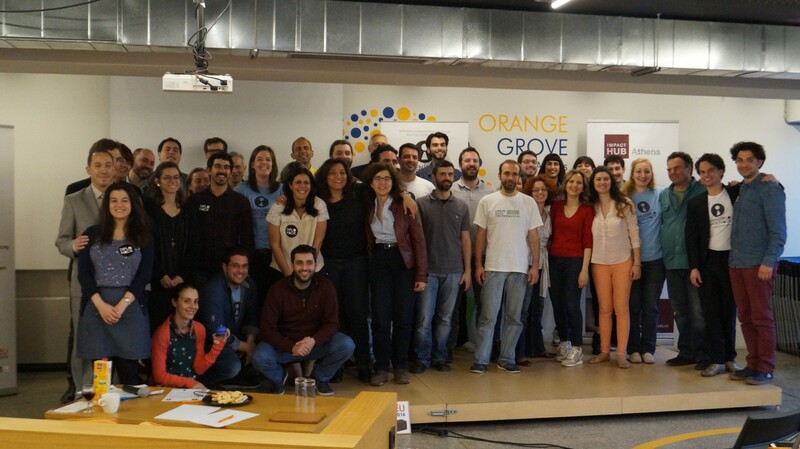 Supported by the Embassy of Ireland, the Netherlands Embassy in Athens organized this event together with the local Impact Hub, in context of the Netherlands’ Presidency of the EU Council. During the event journalists, diplomats, programmers, creative thinkers and enthusiast civil society representatives gathered, aiming to make European decision-making more transparent and accessible for its citizens. Ambassador Caspar Veldkamp kicked off the weekend Friday afternoon with a speech, stressing the importance of the topics: “Let us work together the coming days in giving the European citizens their given right: the right to information, the right to understand what is happening in the EU”. Subsequently, representatives of the European Parliament and the Greek government emphasized the importance of a transparent and understandable government. Several experts shared their experiences on existing Greek initiatives in this field. Inspired by these contributions, twelve participants pitched their ideas. Six teams where formed and at this point the “hacking part” started. There was a lot of enthusiasm; some of the Diplohackers arrived even before the venue opened its doors! This second day the teams worked until after sunset, interspersed with a well-deserved lunch and dinner, and speeches by a lawyer on the legal framework and a professor on open data ethics. The third day was marked by the preparations for the closing ceremony. Teams worked the whole day and refined their ideas. During this time, some experts passed by to support and advise the participants. The closing ceremony started with experts sharing their experiences on opening up government data in Greece. After this, the teams took the floor and pitched their innovative solutions to a five person strong jury, which included the Netherlands Deputy Head of Mission Robert Jan Sieben. Winner of Diplohack Athens is the team of Androniki Pavlidou. They invented the “Financial Game”, an application that provides insight to citizens on financial decision-making and consumer behavior in the European Union. Users are informed about financial decision-making and their consequences in a playful way. Androniki and her team will participate in the first-ever European Transparency Camp that will take place in Amsterdam in June. The team of “Direct Access” was second. They came up with the idea for a platform that informs European citizens about local EU-funded projects that take place. Third was “C3”. The team developed an online platform that provides data to inform citizens about the local consequences of climate change, and about the actions they could take to act against the phenomena. Only one team could win the tickets to EU Transparency Camp. However, the other ideas could be sent in to the online version of the same competition.